After a 4.5 mile hike into the Left Fork of North Creek in Zion National Park, Archangel Fall greats the determined and does not disappoint! 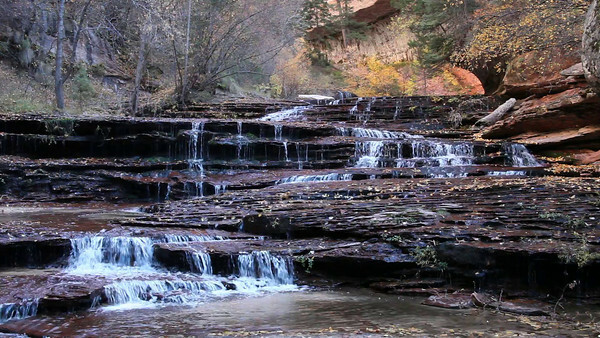 This terraced water fall runs over smooth red rock slab and is surrounded with maples and cottonwoods turning fall color. The high cliffs surround the fall and lead you upstream to the Subway...a unique formation in a slot canyon formed from flash floods over the eons.